Herbal Fusions was formed in June 2013 by Graham Trevitt and Ruth Wollaston to acquire the Norfolk Punch business from our relatives, the previous owners who were retiring. So the business remains in the family. 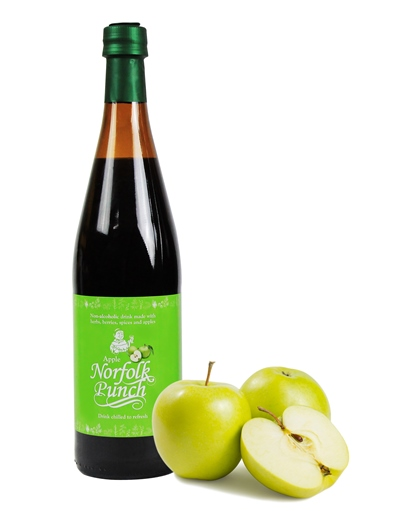 Norfolk Punch was then re-launched in the UK market in March 2014. ​Norfolk Punch is a healthy, non-alcoholic herbal drink, first made by the Benedictine Monks of Welle Manor in the Fenlands of Western Norfolk over 700 years ago. They believed Norfolk Punch was "nature's answer to tenseness, tiredness and lowness of spirits". The recipe comprises of subtle infusions, decoctions and distillations of 30 herbs, berries and spices and contains no artificial ingredients or flavourings. It can be served chilled as a refreshing summer drink or hot on a cold winter’s day to relax, warm and cheer. In addition, Norfolk Punch serves as an excellent non-alcoholic aperitif or alternative to wine. Still made to the original, secret monastic recipe, Norfolk Punch provides a variety of both subtle and surprising tastes which combine to deliver a truly unique drinking experience. 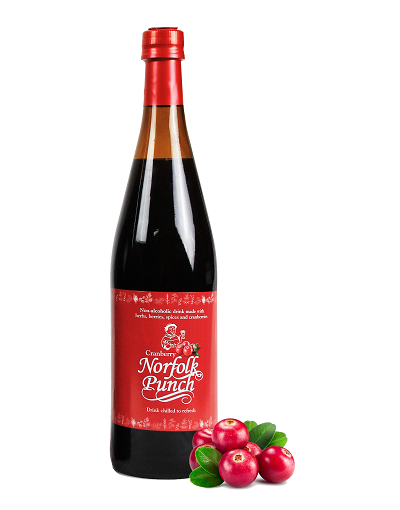 Norfolk Punch is now available in 2 exciting new flavours – Apple Norfolk Punch containing crushed apples and Cranberry Norfolk Punch containing pure cranberry juice. Both new flavours make for a lighter, more fruity drink whilst still containing and giving the benefits of all the ingredients found in the original recipe.